In case you spent the day in a cave, let me tell you about the new iPhone that Apple introduced today. They call it “the iPhone 4S“. You could call it a disappointment because it’s not an “iPhone 5,” whatever that was imagined to be, but it would be better to call it a refined and polished iPhone 4. Apple similarly refined and polished the iPhone 3G to make the 3GS, and that worked out very well indeed. Let’s hope it turns out as well this time. Now you’re probably wondering what (or who) Siri is. Siri is software that lets you control your iPhone by voice, a feature that’s been around a little while, but not to this extent. Previously, voice control was limited to “Call Christian Boyce” or “Play Music.” With Siri, you can do a lot more, and you can speak to Siri in a fairly natural way, like so: “Set up an appointment with Christian Boyce on Friday.” It takes an enormous amount of processing power to do voice recognition properly, power that’s available only in the iPhone 4S. If you don’t have an iPhone 4S, you don’t have Siri. Sounds like a commercial. Watch this video for a brief intro to Siri. 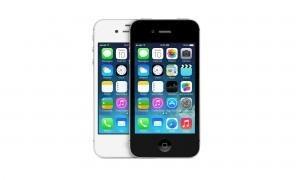 The iPhone 4S comes in black and white and looks nearly identical to the iPhone 4. I don’t know if we’ll be able to use our existing iPhone 4 cases but I do hope so– I just got a good deal on a glow-in-the-dark iPhone 4 case from Marware. * You can get the 4S in 16 GB, 32 GB, and 64 GB models, and you don’t have to worry about buying “the Verizon one” or “the ATT one” because this time, one phone does it all. Apple’s calling the iPhone 4S a “world phone” which means that the exact same phone can be used with a lot of different networks. You’ll still have to choose a network, same as now, but if you decide to change carriers down the road you won’t have to buy a new phone. By the way, the iPhone 4S works on the Sprint network too. I think the word “finally” is in order. And now you’re probably wondering when you can get one. The answer is “soon.” You can order one online starting October 7th, for delivery “starting October 14th.” Or, you can take your chances at an Apple Store in person, starting at 8 AM October 14th. Here’s a good page on Apple’s website telling you what you should bring with you when you come in to buy an iPhone 4S. It also has a “check your eligibility” thingy that lets you see whether your existing wireless plan qualifies you for an iPhone 4S at the lowest price. I think the iPhone 4S is going to be a great phone, and a big hit. Personal note: there was no mention of Steve Jobs in today’s announcement, and the keynote was duller than dull. In a way, that’s good: the iPhone 4S had to impress us on its merits alone, not with help from the famous Steve Jobs “reality distortion field.” I’m not so sure that Apple won’t scale back these product introductions a little further yet, because without Steve Jobs delivering the news these things just aren’t as much fun. UPDATE: it appears the management team presenting the iPhone 4S knew, before the presentation, that Steve Jobs was down to his last hours. No wonder they were a little down. CORRECTION: Even though Apple’s iPhone 4S can run on Verizon, AT&T, or Sprint (and other networks), if you’re planning to run it on a CDMA network (Verizon, Sprint), you have to specify that when you buy it. This doesn’t make a lot of difference to most people because you buy the phone with a two-year contract with a particular carrier. But, it does make the statement above, “if you decide to change carriers down the road you won’t have to buy a new phone”, pretty much incorrect. Just order an iPhone 4S already and pick the network you like, please.